As a medical professional, you’re busy with your patients and growing your practice. The last thing you probably think about is having a lawyer on retainer. After all, you aren’t doing anything illegal so why should you worry? Unfortunately, when it comes to ZPIC audits medical businesses, things become more complicated. Even small errors can cost you your business and the reputation you’ve worked so hard to build. This is one reason it’s crucial that you have a qualified audit attorney on your side from the beginning. 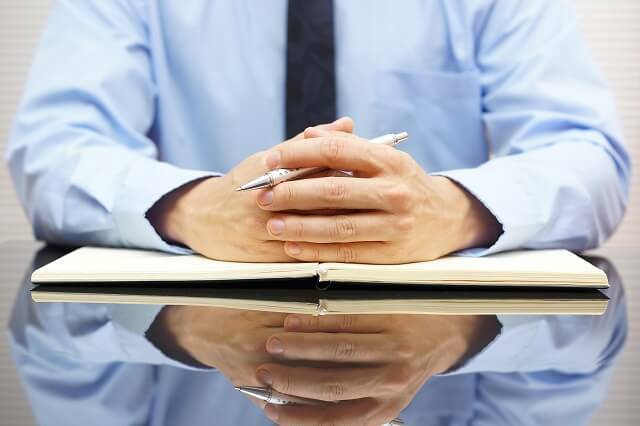 Other reasons you should consider keeping an audit attorney on your side include the following. While your motto might be to provide the best care to your patients as possible, your staff might have other ideas. No matter how well you screen those that you hire, you can’t weed out everyone who turns in sloppy work, or people who write incomplete patient reports. Plus, you have your own work and can’t monitor every step your employees take. You might not be held responsible for these actions, but you could be, and your business could pay the price. An attorney can help you get through the process if your staff make errors that trigger an audit. Like nearly all medical professionals these days, you probably get reimbursed from some type of government agency, such as Medicare or Medicaid. With all the changes in regulations and rules, it can be tough to keep up while running a business. This can leave you and your practice vulnerable to action if you happen to be the subject of an audit. 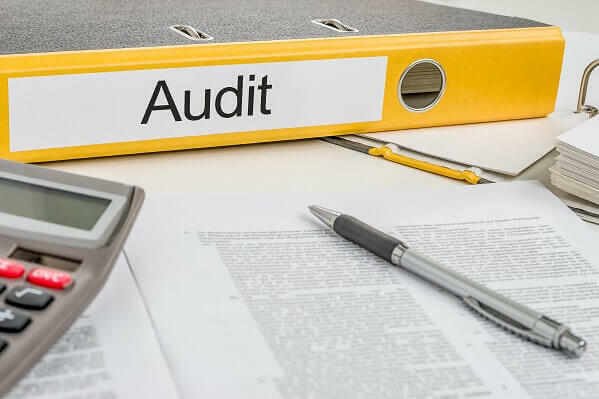 One of the most challenging aspects of being audited is that you will likely not be prepared and will need someone to guide you through the audit. Even if you’ve done nothing wrong, there is a strong mentality of “guilty until proven innocent” when it comes to medical professionals. If you or your medical practice is the subject of some type of litigation or even a routine ZPIC audit, it could bring unwanted attention from the press. An attorney can not only speak on your behalf, but also help ensure that you retain your rights. Even though your life as a medical professional is busy, retaining an experienced audit lawyer can be the best thing you do for your business. Even if you don’t think you’ll ever be audited, it’s important for your business that you make the necessary preparations just in case. You could save yourself thousands of dollars in penalties, a ruined reputation, and a destroyed business by making sure you have an experienced legal team on your side. If you are being audited or need help with an appeal, contact the attorneys at Oberheiden, P.C. at (888) 727-5159 or complete our online contact form today. You might have heard of ZPIC, which stands for Zone Program Integrity Contractors. It covers different regions, or zones, of the United States. The Centers for Medicine and Medicaid Services, CMS for short, created ZPIC to investigate potential waste, abuse, and fraud of the Medicaid system. There are four companies that currently handle ZPIC investigations. Most of them cover two zones each, even though some zones are not contiguous. Here is an overview of the agencies that provide ZPIC audit oversight, and the zones they are responsible for throughout the country. The areas covered by each zone mostly contain states bordering each other, though a few of them are not consistent. For instance, Zone 1 contains California, Nevada, and a few Pacific islands while Zone 2 covers the Pacific Northwest, Central America, and Alaska. Although you might normally think Alaska and the Pacific Northwest would include California and end up in the same zone, in this case it isn’t. Zones 1 and 7 fall under Safeguard Services, LLC. These zones include California, Nevada, Florida, Hawaii, and other US islands. California and Florida contain most of their offices with one of them in Puerto Rico. For those in California, however, this is the zone and the organization that is likely providing the audit oversight in your case. NCI, Inc. covers the rest of the Pacific Northwest, Alaska, most of central United States, and most of the south. They are one of the larger ZPICs with over 100 locations and 2000 employees and they perform more roles than auditing. NCI specializes in cyber security and other technological fields to assist in civilian and government protection. NCI’s headquarters is currently in Reston, Virginia. Cahaba Safeguard Administrators oversees Zones 3 and 6, which covers the northern United States and the northeastern seaboard states even though the company is based out of Alabama. CSA has been around for 70 years in total, and started as an insurance company before becoming a Medicare contractor 35 years ago. 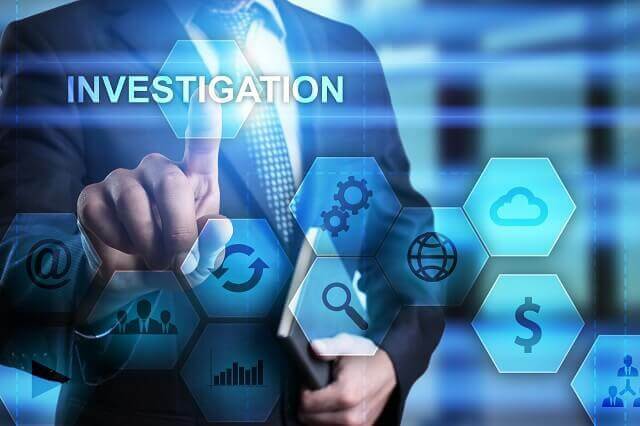 CSA has spent the last 15 years as a ZPIC with their specialization in statistical analysis to give auditors all the data they need for their investigations. Health Integrity, LLC, based in Maryland, protects the interests of Zone 4. This zone is by far the smallest in scope, protecting Colorado, New Mexico, Oklahoma, and Texas. Texas is renowned worldwide for their medical prowess, so they have their work cut out for them. Health Integrity, LLC includes a staff made up of experts who have a wide range of specializations and experience. Experienced ZPIC Audit Attorneys at Oberheiden, P.C. A ZPIC audit can be overwhelming and scary. However, you don’t have to panic. Our attorneys have the experience and skill your company needs to successfully navigate a ZPIC audit. If you are being audited or need help with an appeal, contact the attorneys at Oberheiden, P.C. at (888) 727-5159 or complete our online contact form today. Not all attorneys of Oberheiden, P.C. are licensed in California and nothing contained in here is meant to constitute the unauthorized practice of law. Getting a ZPIC audit can be a taxing situation. Unfortunately, you can’t always avoid being audited. You can, however, take measures that can lower the risk of a ZPIC audit. If you find yourself part of an organization that is being audited, you and your medical practice may come out the other side unscathed. Even then, the entire process can still cause its fair share of stress. 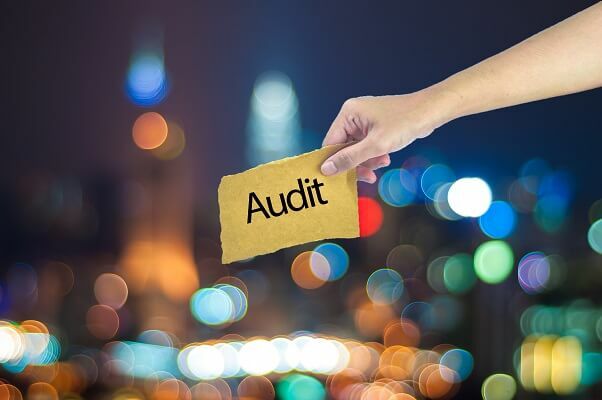 If you’d rather just avoid the trouble of a ZPIC audit altogether, there are a few extra precautions you can take that can help keep these legal problems out of your office. Maybe you have an understanding of all the rules and regulations, but do your staff and coworkers? To prevent someone from making a mistake due to ignorance, it’s important to make sure everyone who works with you is aware of all the procedures and requirements. “I didn’t know,” probably won’t be a good enough excuse to an audit team, and it won’t look good on you, either. Make sure your staff members are not just well-trained, but continuously updated on best practices. It’s easy to ignore paperwork when it comes in, but this can also cause you problems. If you get a request for any kind of documentation, it’s best not to put it off or ignore it. Keep paperwork and certificates up-to-date, so you’re prepared if you’re ever asked to present them. You’re less likely to be selected for an audit if you’re honest and prompt with requests for information and documents. A great way to avoid being audited is simply to audit yourself. Keep an eye out for updates in regulations, make sure your Compliance Plan fits the bill, and if anything is out of place try to fix it as soon as possible. By keeping yourself and your staff in check, you could avoid getting audited in at all. Waiting until you get an audit letter to take a look at your organization’s practices is a recipe for disaster. Keep yourself organized now, and you’ll be well-equipped if you ever end up scheduled for an audit. No one wants to have to deal with the frustrations of an audit. If you’re a medical provider, protecting your practice is probably high on your list of priorities. By taking these steps to keep the process at a distance, you can avoid stress for yourself and the people who work with you. If you do find yourself being audited despite the precautions you have taken, we can help you through the process. To learn more about defending yourself against a ZPIC audit or if you need assistance filing a ZPIC appeal, contact the attorneys at Oberheiden, P.C. For a free and confidential consultation, call (888) 727-5159 or complete our online contact form today. What Happens in a ZPIC Audit? Unlike other types of audits, a ZPIC audit is not simply one that is random. Instead, the ZPIC is looking specifically for any instances or indicators that fraudulent behavior has taken place. If you or your medical practice has received notification that a ZPIC audit is impending, here’s a brief idea of what you can expect from the process. As you’re probably already aware, a ZPIC is not randomly looking for inconsistencies. Instead, he or she is focused squarely on fraud and any issues that might point to a willful intent to defraud the government of Medicare funds. ZPICs have been handed an enormous amount of power by the government. As government contractors, ZPICs can request your Medicare medical records and other documentation without specifying a look-back period. They are also not limited in the number of documents they can request. It isn’t unusual to hear of medical professionals receiving tens or even hundreds of such requests each day. For many facilities, just managing and complying with the document requests is overwhelming. ZPICs have the latest in data analysis techniques at their disposal. They’ll probe samples, use statistical sampling, and analyze the data to reach conclusions about your intent. When it comes to a ZPIC audit, it’s much more complicated than just spotting a blatant act of fraud. You can expect the ZPICs involved in your audit to conduct interviews with both your staff and your patients. They will likely ask pointed questions of your staff regarding your policies and processes when it comes to handling Medicare documentation. The ZPIC will also dive deep into your patient records to learn if a particular procedure was necessary or even performed as you have indicated. As part of the ZPIC auditing process, onsite visits without prior notice are to be expected. One way to prepare for this inevitability is to update your medical billing processes as soon as you’ve been notified that you’re the subject of a ZPIC audit. Be sure to have all your staff read it thoroughly and sign off on it. Depending on the outcome of the ZPIC audit, further action could be initiated. This could include the withholding of payment, automatically denying claims, or referring your case to law enforcement. It’s important that you contact an attorney with experience with ZPIC audits to protect yourself and the practice you’ve built. Although the process might vary depending on the practice and the circumstances, one thing that’s certain is that a ZPIC audit can be overwhelming and stressful. After all, your business and your livelihood may be on the line. An experienced legal team can help you navigate this process in the best way possible. If you are being audited or you want to prepare for an audit, we can help. Contact the attorneys at Oberheiden, P.C. at (888) 727-5159 or complete our online contact form today. Medicare fraud is a complex and often confusing issue, both for health care facilities and for the government. Fraud cases aren’t always straightforward or easy to spot, and what’s more, they aren’t always intentional. When ZPICs audit and discover these cases, they often define them not as outright fraud but as abuse. Exactly where an audit falls on the spectrum of an innocent mistake to outright fraud can vary; most cases fall within one of the following four categories. Everyone makes mistakes. And when large amounts of billing and payments are involved, the risk of error increases. Numbers can be difficult to work with at the best of times, especially when computers are involved. It is possible for a billing specialist to cause an audit due to errors within the billing system itself. This includes entering the incorrect code, entering too many codes (e.g. duplicating a service accidentally), or failing to include any required details about the service provided. Often, mistakes that occur at this level really are true mistakes. In fact, true mistakes happen more often than they should. They aren’t intentional, nor are they a result of the provider trying to fraudulently access Medicare. However, they are still considered illegal and actionable under Medicare guidelines. In any event, an audit due to a simple error can become much more serious than you might expect. Providers are expected to optimize their services to best fit Medicare guidelines. Excessive waste or inefficiency is defined as anything unnecessary, or which could be provided under a more cost-effective claim. For example, ordering excessive diagnostic tests after previous diagnostics have already ruled out a diagnosis could be seen as a Medicare violation. Likewise, repeating services or offering services when they aren’t expressly required may fall under the same category. Unfortunately, inefficiencies and waste can happen because of simple errors as well. Providers who upcode or stack billing for a better payout may be at fault for Medicare abuse or fraud, too. This includes coding a claim for a slightly more expensive service even if you actually provided the lesser service instead. Every code must paint an accurate picture of the service provided. Outright deception is defined as anything the provider does for the express purpose of defrauding and abusing the Medicare system. This includes billing for services never rendered, piggybacking codes onto another claim, and any other situation where you request money from Medicare when it isn’t deserved. Intentional fraud audits are extremely serious, and if you find your facility or provider accused, it’s crucial that you contact an experienced lawyer for assistance immediately. Regardless of what causes the ZPIC audit, the process can be complicated and overwhelming. You have a lot on the line. Make sure you have a qualified ZPIC attorney on your side who can help you defend yourself against a ZPIC audit. Contact the attorneys at Oberheiden, P.C. at (888) 727-5159 or complete our online contact form today. This information has been prepared for informational purposes only and does not constitute legal advice. This information may constitute attorney advertising in some jurisdictions. Reading of this information does not create an attorney-client relationship. Prior results cannot guarantee a similar future outcome in your case. Oberheiden, P.C. is a Texas firm with headquarters in Dallas. Mr. Oberheiden limits his practice to federal law. A ZPIC audit is a very serious matter that could have serious consequences for the entire facility and some of the professionals who work in the facility. For that reason, it is a good idea to make sure everything is in order and prepared for a ZPIC audit, especially if you know one is coming. Make sure everyone in your organization is as ready as possible, including your staff. Although you don’t always have time to prepare, it doesn’t hurt to make plans just in case. Even if you know that you face an audit in the future, the first thing you should do is to contact your legal representative as well as the individual or group responsible for all the medical records. You’ll need to be able to plan for staffing so that anyone who needs to help with the audit can give it their full attention. You may need to schedule extra staff members to be at the facility so that the business of the day can go on without delays, while making sure there are also enough people available to work with the audit undisturbed. Even if you aren’t facing an audit, you can involve your legal representative. Your attorney can advise you, ensure you retain your rights from the beginning, and help you determine the best way to proceed. Your attorney can also be present for the audit and request documentation to review the validity of it. Although a ZPIC audit should be taken seriously, it is not the end of the world. In some cases, it’s really just a random pick or a minor error, so your facility may not have even sent up red flags. It’s important to help your team and staff members remain calm. Although it’s business as usual, there is some risk, so it’s a good idea to ask your staff to review all elements of the necessary files to make sure everything is in order. Essentially, you need to make sure you have enough staff to handle the audit as well as the daily functions. However, the most important thing to do is make sure you have a qualified legal team on your side, whether you’re just preparing for an audit, facing an audit, or planning to appeal. Your attorney can often share information regarding specific things your facility needs to do to prepare for an audit or reasons your facility might be targeted. It’s important for your business that you make sure everyone is prepared in the event of a ZPIC audit. This could mean extra training or self-assessment, or it could mean helping your staff remain calm throughout the audit. In any event, you have a much better chance of successfully managing an audit, if you have an experienced attorney in your corner. Contact Oberheiden, P.C. at (888) 727-5159 or fill out our online contact form for a free and confidential consultation. Medicare fraud is a serious issue in the United States. Zone Program Integrity Contractors (ZPICs) monitor and take action against Medicare fraud when they suspect it has occurred. This process begins with a ZPIC audit, which is considered a general investigation into whether or not a health care facility or office has committed any fraud. However, understanding exactly what constitutes ZPIC fraud and how you can prevent it from occurring isn’t always as straightforward. How Does the Government Define Fraud? According to Chapter 2, Sec. 2.4.C of the Medicare Program Integrity Manual (MPIM), Medicare fraud includes claims identified as, “fraudulent, wasteful, or abusive,” in nature. What this means is that if a ZPIC can identify that a claim for Medicare wasn’t required, wasn’t legal, or could have been handled with a lesser claim, it may constitute fraud against the Medicare system. Providers are expected to self-manage their claims for efficiency, though help and guidance is available through overseeing bodies when required. Understand that ZPICs only begin investigations after identifying a potential fraud case, not the other way around. This leaves facilities in the position of proving their innocence. Other examples might include filing a claim for an unapproved beneficiary, claims for off-label prescription drug use, stark Law violations such as self-referral to a partner, and claims with inadequate supporting documentation. This list is far from exhaustive. 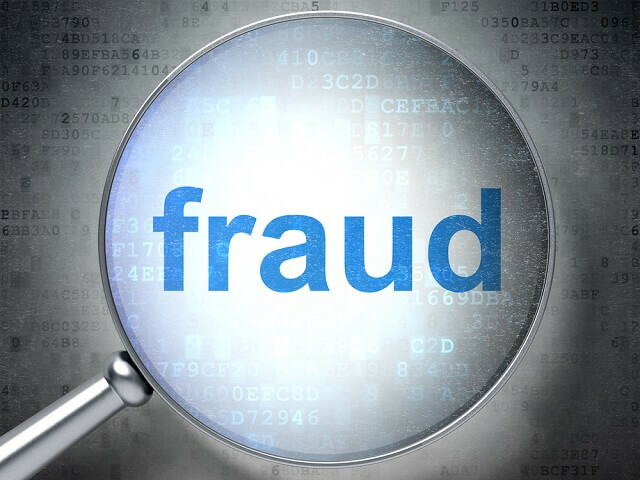 Other less obvious forms of fraud may include prescription fraud (such as when a physician prescribes medication for a family member), doctor shopping (when a patient sees multiple doctors in a short period of time), false price reports (including samples and free products in total claims), and other serious offenses. As you can probably guess, it can be difficult assessing whether or not fraud actually took place. Every medical entity should understand and follow Medicare guidelines at all times. If you discover you are being audited, do not attempt to work the issue out with your ZPIC. Contact a Medicare fraud lawyer immediately for guidance. 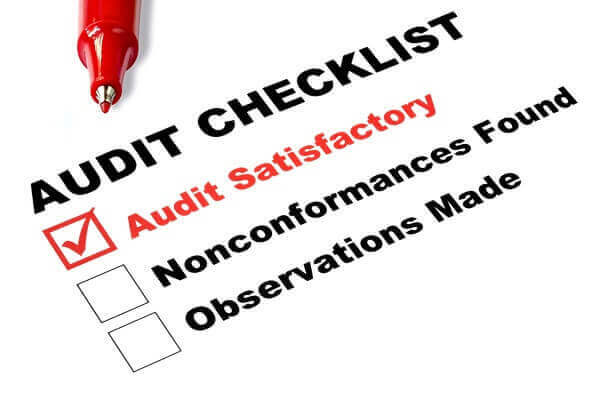 A ZPIC audit is a serious matter that can cost you your business. Make sure you have a qualified ZPIC attorney on your side who can help you defend yourself against a ZPIC audit. If you are being audited or need help with an appeal, contact the attorneys at Oberheiden, P.C. at (888) 727-5159 or complete our online contact form today. If you’ve received notification that your medical practice is the subject of a ZPIC audit, the first thing to remember is not to panic. This doesn’t have to be a negative experience, as long as you have an experienced team on your side to help you throughout the process. In addition, arming yourself with some knowledge and strategies can help you, your business, and your employees come out ahead after an audit. Here are 4 things you should do if you find yourself in the middle of a ZPIC audit. During an audit, you should maintain open communications with the ZPIC in charge. Stay calm, professional, and pleasant during any communications with him or her. Consider communicating only via email or other written correspondence, so there is a record of what was said by both of you. In fact, it is usually best to consult your attorney before you communicate with anyone. Many times, businesses choose to ignore requests. However, one way to maintain the open communication noted above is to pay attention to and address the requests of the ZPIC. Whether the request is for additional documentation or a deadline for producing the necessary paperwork, it’s important to acknowledge the request and get to work on meeting it. The receipt of a notification of a ZPIC audit is your prompt to secure the services of an experienced attorney. If you question the necessity of retaining counsel who has specific experience with medical audits, just remember something that you’ve likely told a patient or two. A patient who is having heart palpitations shouldn’t make an appointment to see an ENT. Instead, a cardiologist should be consulted. Likewise, you should also seek out someone who has experience defending organizations against ZPIC audits. Even if you already have language addressing compliance in your employee documentation, being the recipient of a ZPIC audit makes this a good time to update it. All new employees should be required to thoroughly read the compliance information and sign off on it to demonstrate their understanding. The staff that you have working for you currently should be introduced to the updated version. One way to do this quickly and easily is to have a staff meeting in which the compliance points are gone over one at a time. Ensure that everyone signs one before they leave the meeting. 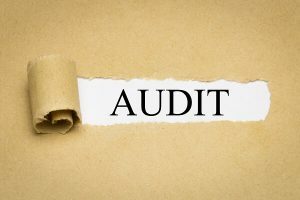 Being the subject of any audit can not only be frightening, but it can also reduce the amount of cash flow to your practice. Retaining a legal team with experience in ZPIC audits helps to address these setbacks. Don’t make the ZPIC audit more difficult for yourself and your business than it needs to be. Make sure you have the right legal team on your side to help you through it. If you are being audited or need help with an appeal, contact the attorneys at Oberheiden, P.C. at (888) 727-5159 or complete our online contact form today. A ZPIC audit is conducted to ensure that you and your staff follow proper guidelines and procedures. Although it might sound simple enough, the ZPIC audit process can be complex and overwhelming. This is primarily because the guidelines and procedures that govern Medicare and programs like it are ever-changing and submerged in small details that can mean everything when it comes right down to it. Because of the risks that can come with an audit, it’s crucial that you understand what’s at stake. These are some of the risks that come with a ZPIC audit. When it comes to any type of government inspection, you can be sure that fines and fees will be involved. For the government, it is a measure taken to prevent carelessness with sensitive information and policies. Minor infractions can lead to costly recoveries, but fines and fees (as long as they aren’t so extensive as to break the bank) are often the least of your worries after a ZPIC audit. You could face an even greater risk — criminal charges. Government entities do recognize that mistakes can be made and understand that neither machines nor humans are infallible. At the same time, they also recognize a difference between a mistake and deliberate misuse of information and funds. That difference can carry a label that can result in the end of a career, your freedom, and even of life as you know it. That label is “fraud” and though it doesn’t happen often, it has been applied in times when a legitimate mistake was made. The best thing you can do to protect yourself and your facility is to follow all guidelines precisely and document every facet of the process. This includes everything from identification and insurance cards to staff notes and photographs of the injury or issue at hand. The more documentation you have, the less likely you are to overlook an important point or unknowingly violate a guideline or law. Further, your documentation can be the proof you need if fraud is in question. The risks associated with a ZPIC audit can be life-altering. To understand your specific risks and how you can remain in compliance, it’s best to have an experienced lawyer who understands the process and all the elements involved. In many cases, you can’t avoid getting audited. Unfortunately, even if you think you have followed all the guidelines and have managed your business as you should, you could still be at risk of some of these consequences. A simple error can change your entire business. If you are faced with a ZPIC audit or you’ve been audited and would like to appeal, we can help. Contact our attorneys at Oberheiden, P.C. for a free and confidential consultation. Call (888) 727-5159 or fill out our online contact form right away. What is a ZPIC Audit? Businesses that provide services covered by Medicare can occasionally find themselves under investigation by Zone Program Integrity Contractors, also known as ZPICs. ZPIC audits are intended to check for and reduce the occurrence of Medicare fraud. Medicare payments are monitored, and any unusual activity can be cause for an audit. 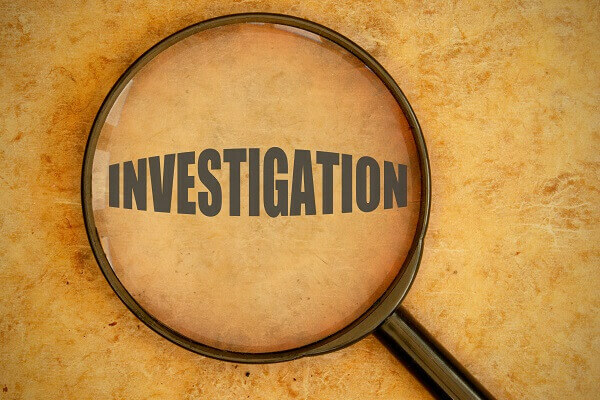 During the investigation, ZPICs work to determine whether there is fraudulent activity, or if there are simply errors made in the billing process. In cases where fraud is found, the case is sent to the Office of the Inspector General (OIG) and the Department of Justice (DOJ). While recuperation of overpayment is likely for those who simply had errors in their billing practices, fraudulent activity can result in monetary penalties and even criminal charges. During an audit, ZPICs will require access to most or all business records. While it is good to cooperate with this process, employees sometimes certify that their information and documents are complete without checking, which can be a costly mistake for the facility and the professionals who work there. Not having a qualified defense attorney with experience in Medicare fraud cases on your side to help you throughout the process can make it even more difficult. The audit process adds additional stress to the normal operation of a business, and can be confusing and overwhelming to everyone involved. In the end, it can become the perfect recipe resulting in errors that lead to negative results for the business, its employees, and even its customers — even if you didn’t advertently do anything wrong. If your ZPIC audit does end up with negative results, you do have the opportunity to appeal. However, many people are unaware of the appeals process for ZPIC audits, which can be even more complicated than the audit itself. First, there are five levels of appeal. The first two levels allow you to request a redetermination from the auditor, and to seek a second opinion from an independent contractor. After that, the appeal must be presented before a judge, appeals board, and finally a federal district court. The audit and subsequent appeals progress can be long and drawn-out, and difficult to manage without recourse to a legal professional. Although intended to protect consumers and businesses alike, ZPIC audits are a significant source of stress on a business and its employees. Good business practices, accurate bookkeeping, and experienced legal counsel are all key to getting through an audit, and any appeals that may result. As you can probably guess, the best thing you can do is ensure that you have a qualified legal team on your side. Make sure you don’t make costly mistakes that can affect your business and its employees. 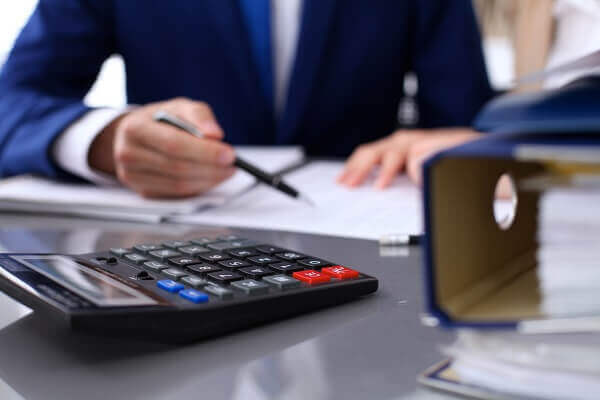 To learn more about defending yourself against a ZPIC audit or if you need assistance filing a ZPIC appeal, you can contact the attorneys at Oberheiden, P.C. For a free and confidential consultation, call (888) 727-5159 or complete our online contact form today. You’ve Received a ZPIC Denial Decision Letter – Now What?